Our dressing tables in natural and rustic oak wax finishes will easily complement a variety of decors. Oak dressing tables are a great choice to create a space in your bedroom dedicated to true self care. Pamper yourself with a mirror or stool set to complete it, and make a peaceful place to get ready for the day. Both those looking for slightly darker warm tones of rustic oak or for those preferring the golden light tones of natural oak will find what they're looking for here. 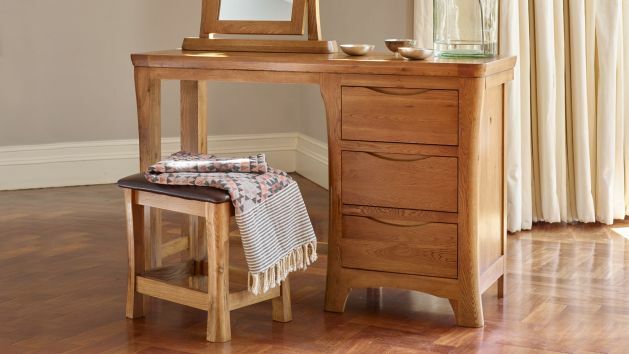 Browse below our beautiful selection of oak dressing tables.